As some of you may know, our 10 year wedding Anniversary was July 15th. And to celebrate, we decided to go on a Carnival Cruise because we got married on one originally. I think if you are looking for an inexpensive, but beautiful way to get married then a cruise is that way to go. 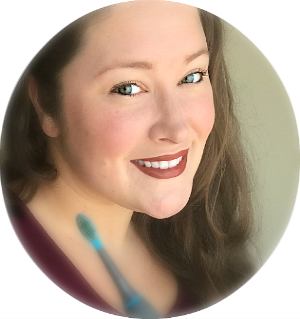 My husband and I were 21 and 23 when we got married, my parents were on limited incomes, and we had to pay for most of it on our own. We didn't give ourselves time to save up money because we were two crazy kids in love and wanted to get married as quickly as possible. I do not regret a thing. Anyways, because my in-laws' anniversary is the day after ours and they are our only reliable sitters right now, plus we wanted to go on a five day cruise so leaving our kids with anyone that long wasn't even on our radar, we decided to make our anniversary trip into a family vacation. 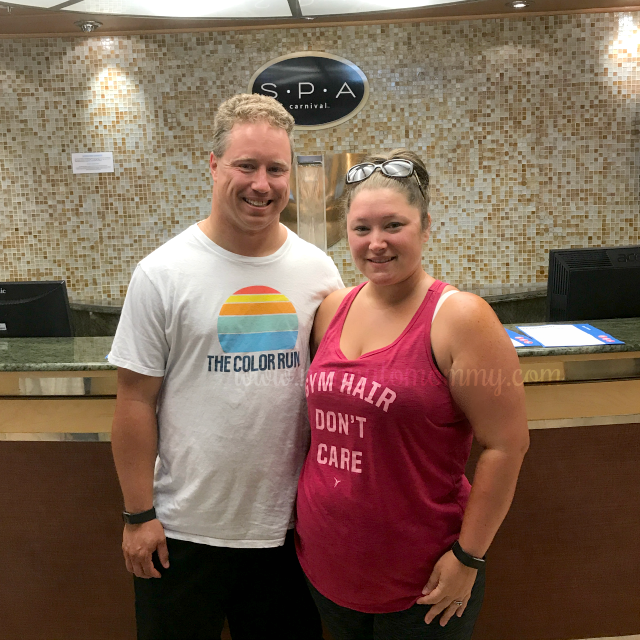 We had been thinking about going on cruise for a while and so at the beginning of this year we decided to make the leap (and down payments) because we had the extra money. We also bought a bunch of Carnival gift cards from Kroger when they ran their 4X fuel points sale to save even more because the gift cards can be used to pay off any balance. 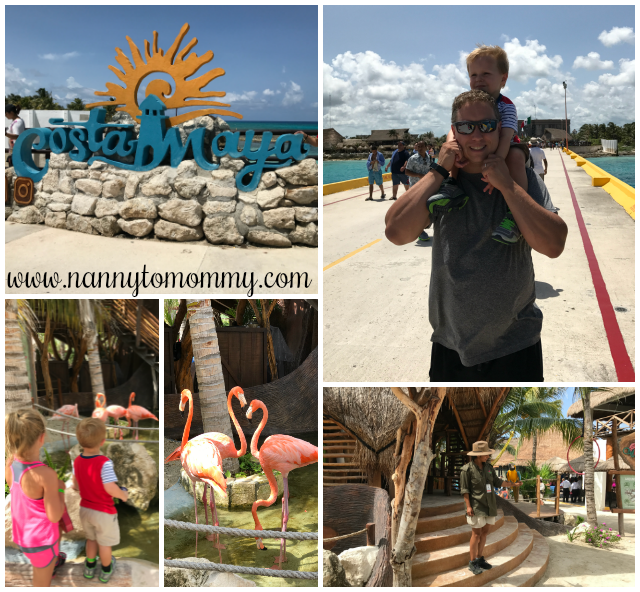 We decided to book a five day Carnival cruise that left out of Mobile, AL and went to Costa Maya and Cozumel. 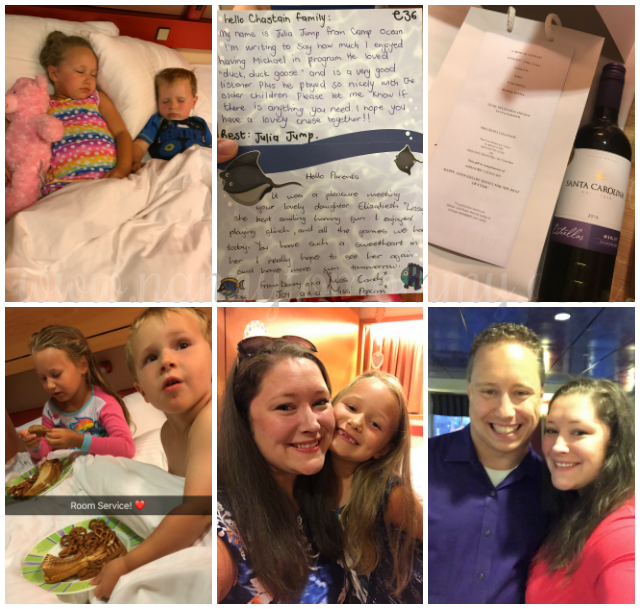 I enjoyed our cruise vacation so much that instead of going to Florida with the entire family every year, I am going to try to convince everyone to change it up and go on a cruise - even if we just go on a three day cruise. We had such a great experience with Carnival. We were actually on one of their older ships, but everything was so well cared for that you would never know. They have Camp Carnival (that is included in the price you already paid) during certain times of the day. They have three different age groups and starts at age 3. They have something separate for even the older kids to hang out. Camp Carnival doesn't serve the children lunch and it didn't open until 10 am in the morning, but they would serve dinner to the children if you liked and were open until 10 pm that night. If you wanted to pay extra, then they could stay later and it was only like $7 per hour per child. But by 10 we were ready for bed anyways. So if you wanted to have an adult only dinner you could or if you wanted to go to the casinos, karaoke, late night comedy, or any of the other adult nightly activities you could. Not only did we get to go out at night and work out in the mornings, but we also were able to sneak in a massage at the spa while the kids were there. 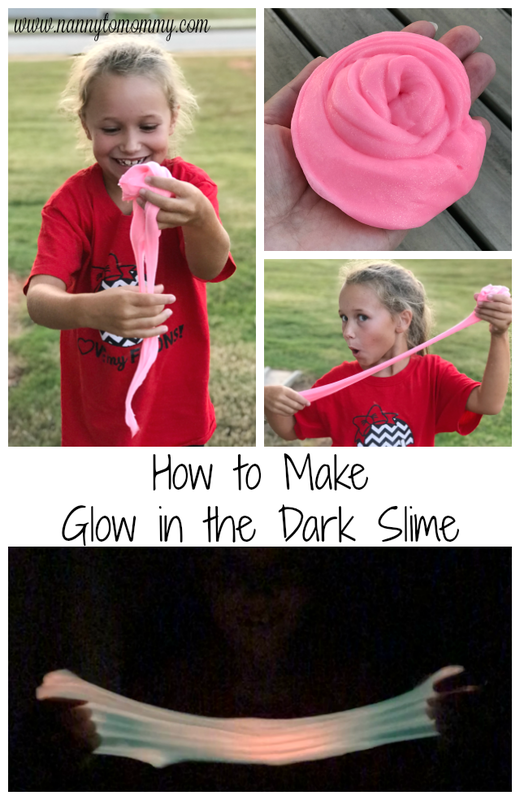 Both of my kids LOVED IT! They were begging to go play with their friends every day. They would do art projects, have dance parties, and even received little goodies through out the trip. They even wrote sweet little notes to tell us how our kids did and I thought that was such a nice touch. The parents are given a cell phone so in case they need to get in contact with you for any reason. Our son had an accident and when I went to get him, they had already changed him into a Pull-Up. They told me if I wanted to just change his clothes that I could still bring him back, which was amazingly unexpected. There were so many family friendly events to attend too, ones that I didn't even know existed before, probably because I wasn't looking for them. 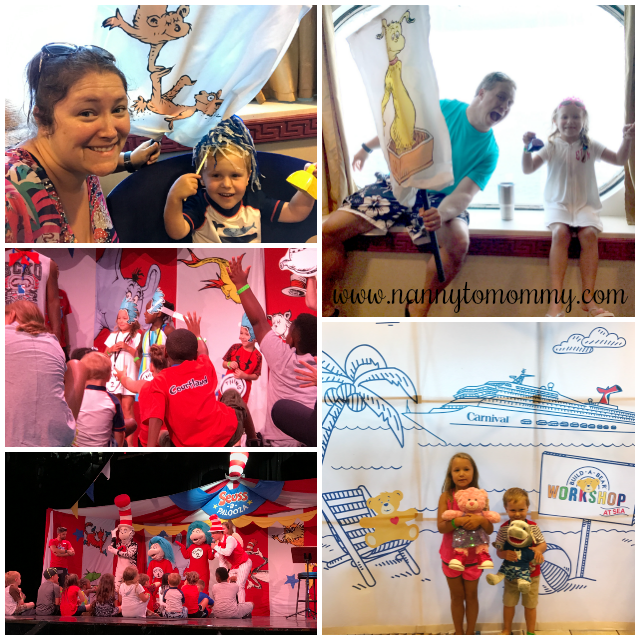 We did Seuss at Sea and watched them live act "The Cat in the Hat" and my daughter got picked to be Thing Two. We participated in Build-A-Bear Workshop at Sea, which we did have to pay extra for to purchase the bears but it was about the same price that it was at home. My daughter loved their water slides on the top deck and would just slide over and over again. 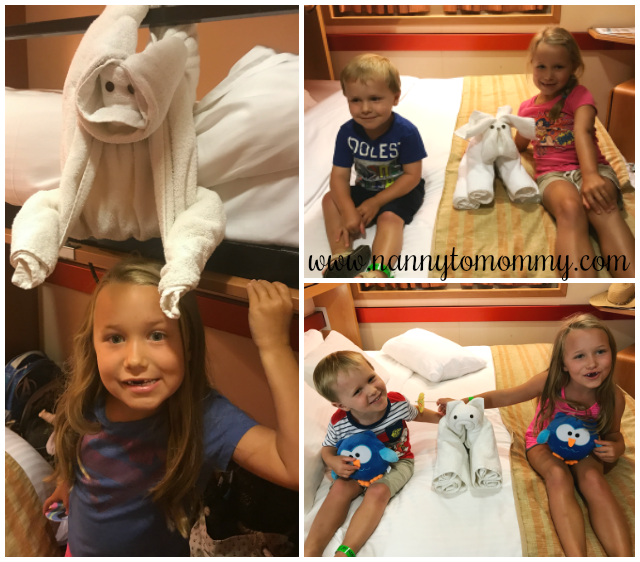 And of course they loved being surprised by their towel animals every day. We did pay for an excursion. 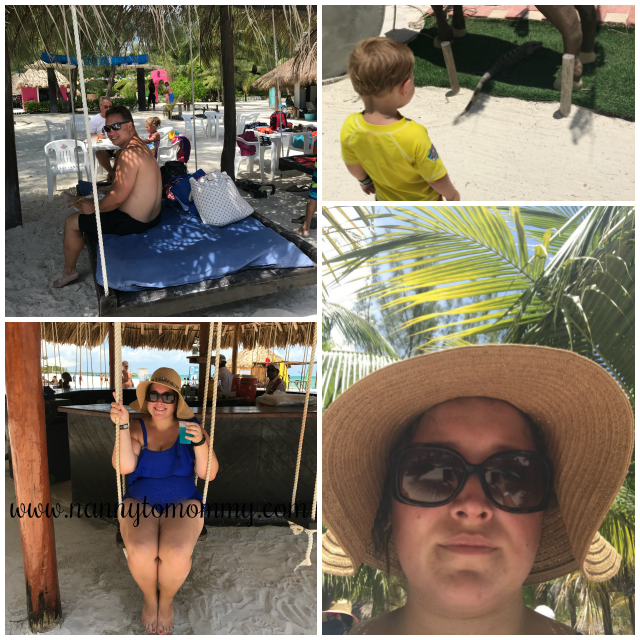 We paid for it through Carnival: we took a catamaran to Passion Island when we were in Cozumel and we enjoyed the beach for three hours. Food and drinks were included. My mother-in-law was a little disappointed because we looked it up online before hand and they promised beach trampolines and other fun water activities that either didn't exist at that beach or weren't available the day we went. But everyone still had a great time. The kids really just wanted to play in the sand anyways. Instead of traditional beach chairs (which they had those too), there were these cool swing beds to lounge on. They had shopping there as well as in Costa Maya where I bought my "vacation ornaments". I get ornaments instead of t-shirts or something like that as souvenirs because they seem to last longer. My mother-in-law got a massage there. And we also got to see iguanas which were so cool because they were just walking around. The kids loved that. Everyone was so nice and interacted so well with the children. It was just such an amazing overall experience. You can find more pictures on Instagram and please make sure to follow me on SnapChat, as I share all of our Family Travel adventures on there. You can also watch a compilation video I made on YouTube. The whole time we were there I was worried that I wasn't taking enough pictures, but looking at all the ones here and on social media - I think I did pretty good! If you have any questions about going on a cruise, please feel free to leave a comment and I will do my best to get you an answer. Thanks! Have you ever been on a cruise? 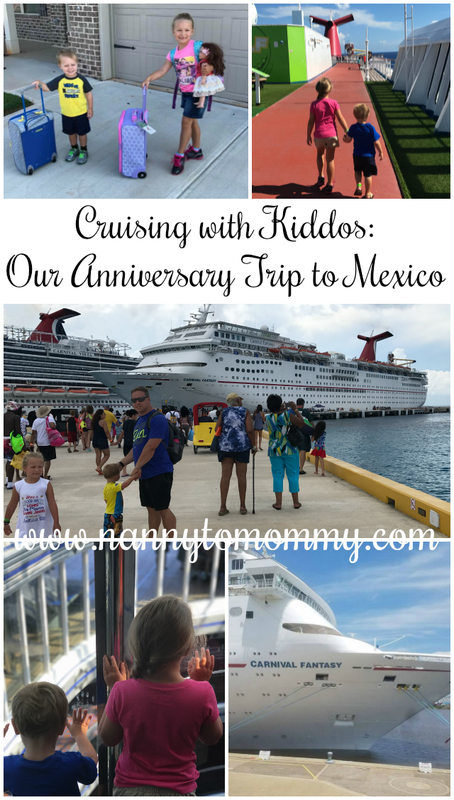 What do you think about taking kids on an anniversary trip? What do you think about vacationing with you in-laws? This post was NOT sponsored in any way. My family and I paid for this entire trip on our own. I've never been on a cruise before, but it looks like lots of fun! I've been on short cruises like on The Spirit of Chicago, but not on a cruise like you took with your family. 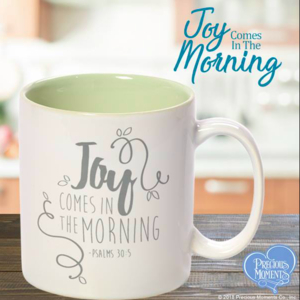 It looks like so much fun and a lot to do! Our in-laws have passed on years ago, but I would have taken my mother-in-law with me! As far as bringing the kids along, sure I would. Why not? The more the merrier! 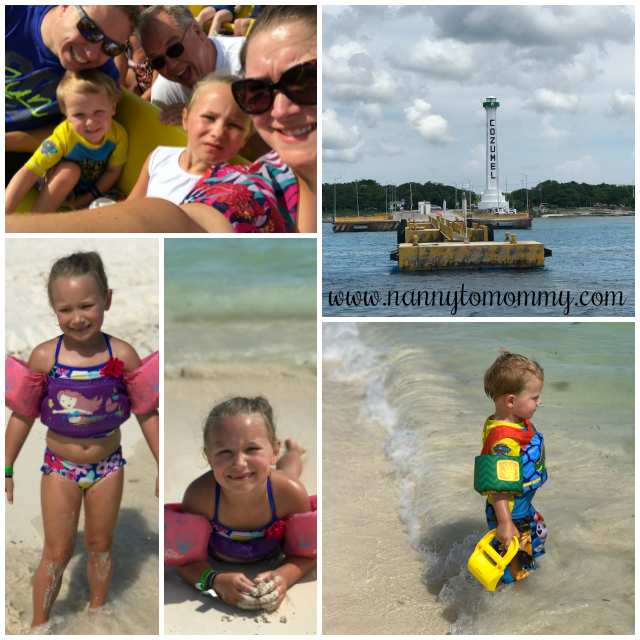 It looks like you and you're family had an amazing time! I hope to one day take a cruise. You all look like you had fun, You sound like me, I couldn't spent that much time away from my kids, but its looks like you had a lot of activities for the kids. This looks like a total blast! I've always wanted to take a trip like this with my kids. This looks like every is going to have a fantastic family fun time!! !